At Capital Real Estate Construction we create beautiful, upscale kitchens for discriminating clients. Some of our kitchens can be done as quickly as 4 weeks*! We see the kitchen as not only the most used common area in the home, but we also recognize it as the most scrutinized section by potential home buyers. A kitchen alone can make or break a sale. Your home is a large investment, and keeping your kitchen up to date and desirable only helps to increase your return. 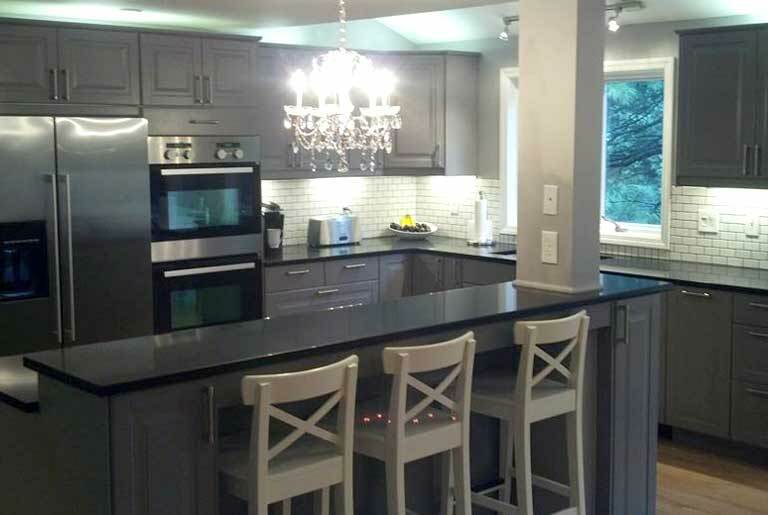 Our kitchen remodeling experts can work hand in hand with you to bring your ideal kitchen to fruition, or we can design it for you from scratch. 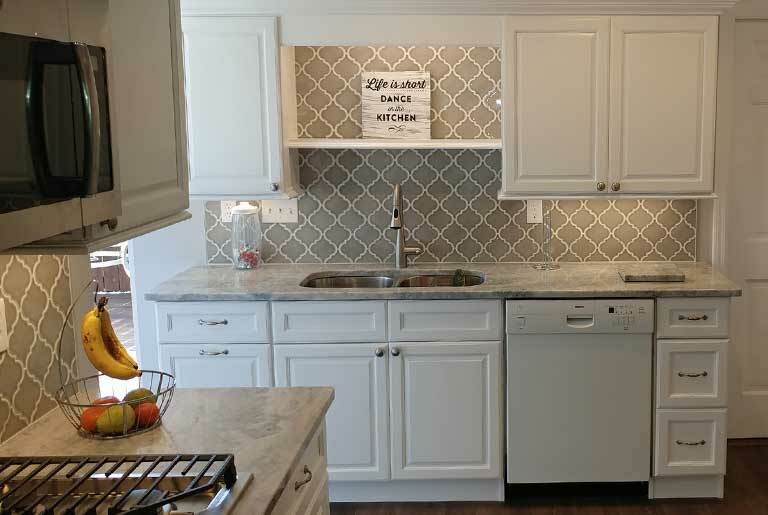 From custom installs, to updated cabinets and high-end appliances, our team is the foremost kitchen remodeling contractor around. We are proud to offer such quality and durable brands as Bishop, Fabuwood, and Forevermark. We know that remodeling a kitchen can be daunting— the time, space lost, and intrusion— but our skilled professionals can create and install a high-end, custom kitchen in just three weeks! 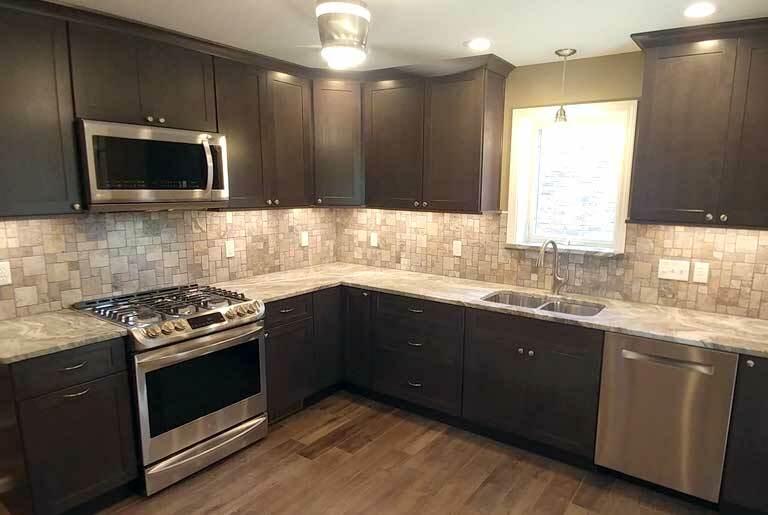 We offer minimal displacement, reduce the headaches, and offer a kitchen remodel cost that is affordable and reasonable. Our combined owners 28 years of experience in the general contracting services ensure a work site that is dust aware and contained, professional, dependable, and non-intrusive. We take exhausting measures to ensure no infiltration. We’ll leave the home cleaner than when we found it and always go the extra mile to get the job done right. Our quality of workmanship, cleanliness, and products are unrivaled and unmatched! Having options is essential to any successful kitchen remodeling project and we are proud to offer solutions for a range of budgets. We have partnered with Bishop Cabinets who provide traditional and contemporary designs, as well as offer a variety of wood species and contemporary surfaces such as foils, wood veneers, and textured/matte/high-gloss melamine. “The 2017 KBIS Best In Show Award” winning Fabuwood can help transform your kitchen into a sanctuary with a perfect balance of function and ambiance. From soft close hinges with smooth operation to custom drawer inserts, Faubwood supplies a multitude of cabinet options catered to your specific needs. Forevermark Cabinetry provides affordable, quality wood cabinetry that is stylish and functional, reliable, and durable enough for families. Capital Real Estate Construction is proud to partner with these brands and stands behind their solid construction and dependable quality. Give the center of your home life the update it deserves, improve functionality, save on energy bills, and be eco-friendly! Together we can quickly reinvent and remodel your kitchen with minimal displacement and intrusion. Keep the heart of your home beating proudly by contacting us today! . *Includes: In stock flooring, backsplash, granite, Forevermark Cabinetry and paint. The 30 day time frame begins on the day the job is started.